So, you’re running a bar, restaurant, or hotel and your employees haven’t made fuss about about tip pooling — the practice of how tips and gratuity are handled. After all, everyone agreed that the tip policy is “fair” when they were hired. You’re paying minimum wage so there isn’t an issue, right? The Wage-Hour division, the arm that enforces the law under the FLSA in the United States, is aggressively trying to find your mistakes when it comes to how you handle tips. The proof is a restaurant, bar, or hotel employee files a lawsuit against their employer 30 times per day. National chains and mom and pop establishments have all been caught in the soup. Watch the full recording below to understand if your tip pooling practice is up to date. It’s not legal advice, but it will quickly get you smart/er on the topic. Full credit to Littler Law Firm for the content and permission to repost this webinar. Littler is the largest global employment and labor law practice. Personal props to Eli Freedburg and David Jordan for the detailed and practical content. The posting of this webinar does not construe an endorsement of Deputy by Littler or constitute legal advice by Deputy or Littler. 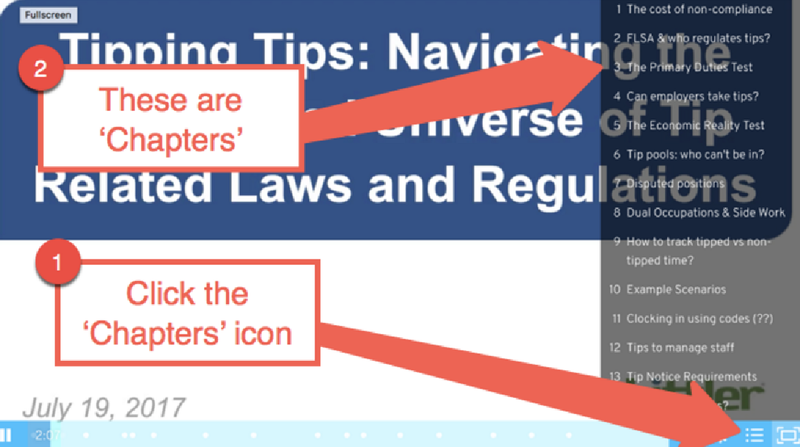 How to watch the webinar: I’ve created ‘Chapters’ so you can click to the topics that are most relevant to you. You can also share this blog post using the social share links within this post or embed the video on your web property or blog using the ‘share’ feature in the lower right corner of the video. How can Deputy help with tip credits? Deputy is a modern workforce software that provides employee scheduling and time and attendance. Our technology supports tips reporting and staying compliant with wage-hour concerns. Sign up for a free 30-day trial and so we can show you how. Eli Freedburg: Thank you very much. Hello everyone. For those of you on the East Coast, good afternoon, and for those of you tuning in that reside further out west, good morning. On behalf of my partner David Jordan, who will be co-presenting this seminar with me, and on behalf of Littler Mendelson, we all thank you for joining us and spending a bit of your time reviewing the oftentimes complicated universe of the laws and regulations related to tipping, and tip pools, and tip credits. Just to jump right in and get started, in preparation for this webinar I asked our researchers to do a little bit of research to find some statistics that underscore the importance of complying with the myriad of tip related laws and regulations across the country, and here are some of the really startling numbers that we discovered. On an average day approximately 30 hotels, restaurants, and bars across America are hit with FLSA prosecutions, whether through private lawsuits or Department of Labor investigations. Since 1985 the hospitality industry ranks number one in the volume of Fair Labor Standards Act wage and hour prosecutions. Well over, at this point, 30,000 cases have been investigated. Again, over the last 30 years or so thousands of hotels, restaurants, and bars have been required to pay out nearly $280 million in total fines, back wages, penalties, judgements, and settlements. That doesn’t include legal fees associated with defending themselves. While settlements and verdicts vary from case to case, it’s not uncommon to find single location bars or restaurants, or if the hotels have to pay settlements or judgements in the six or even seven figure amounts to resolve these types of Fair Labor Standard Act claims. The point of all that introduction is to say, while each case and each employer circumstances vary, it’s very important if you’re dealing with tips and tip credits and it’s critical to be well aware of the laws and the pitfalls that commonly befall employers in this arena. Thank you for tuning in today. We hope to educate you, or refresh your knowledge in this. Again, just by way of introduction, for the most part the information that David and I will be presenting here deals with the FLSA, the Federal Fair Labor Standards Act. But it is important, and as my first real substantive slide will show, depending on our jurisdiction there may be really different substantive laws that govern tipping, and tip credits, and tip pools. Even now you see more and more often cities, and localities, or counties are passing and legislating in this arena also. While we will be focusing mostly on the federal law, we will be addressing some more localized laws. But for your purposes, when you’re doing your own due diligence, it’s important to study and find out whether your state or whether your city that your location, your restaurant, your hotel, or bar is located in has passed any more specific laws or regulations. The Federal Fair Labor Standards Act, those have a saving clause that allows a state or a locality to pass a stricter law. A state can pass a minimum wage law, for example, that has a narrower tip credit, less than the Fair Labor Standards Act provides, but they can’t allow for a greater tip credit. As the slide shows, the law which is most favorable to the employees is the one that will apply. Let’s talk a little bit about the Federal Fair Labor Standards Act. Really, what the law does, it’s relatively and deceptively simple. It provides for a minimum wage that states that all employees must be paid a minimum hourly rate for all hours worked. All employees have to be paid at that rate, and if they work more than 40 hours in a week they have to be paid time and a half for that time. The Federal Fair Labor Standards Act also allows for a tip credit. A tip credit, and I apologize if I’m being too simple here, but it is an offset against the minimum wage, and an employer is allowed to apply to the base minimum wages. Currently the Fair Labor Standards Act sets the minimum wage at $7.25 per hour. But, for employees who earn at least $5.12 per hour in tips, an employer is allowed to use that tip compensation as a credit against the minimum wage. What that means is that the employer has to pay a direct wage to the employees in the total amount of only $2.13 per hour. Again, the requirement there is strictly construed that if you’re going to take the full tip credit the employee does have to earn that $5.12 per hour in tips. That is looked at over a full workweek period, and that doesn’t have to be hour per hour. There are very, very stringent and narrowly construed requirements before an employer can take a tip credit. An employer can only apply a tip credit towards an employee’s wage if that employee is a customarily and regularly tipped employee. How the regulations define that term is that a customarily and regularly tipped employee is one who earns at least $30 per month in tips. Again, the amount of the tip credit that’s taken have to make up enough money so that the employee earns at least a full minimum wage for all the hours worked. Another requirement that is strictly construed is that an employer has to inform all the employees who are getting paid a tip credit minimum wage of the tip credit. The employee also has to retain all tips except pursuant to a valid tip pool. Tip pooling is something we’ll talk about a little later in the presentation. Again, the employee has to be engaged in a tipped occupation, which is another factor that we will be discussing at length in a few moments. Let’s talk about the tipped occupation. What does that mean? The way that’s been interpreted by the Department of Labor and the courts who have addressed this issue is that you are allowed to apply a tip credit to employees whose primary duty is a tipped occupation. Now, it’s a circular definition obviously, but that it’s been defined for the most part as a tipped employee is one who has regular interactions with customers. The tips earned by those employees have to be kept by them. An employer is not allowed to require the sharing of tips amongst employees who are not engaged in a tipped occupation. That will be a basis for challenging applying a tip credit, and as many of you probably know there are dozens of lawsuits filed about that per day. Another factor that you need to be aware of is that the employer itself is not allowed to take any share of an employee’s tips. An employer could be a manager, an owner, or anyone really who has supervisory authority over an employee. The factors involved in determining whether you have supervisory authority is determined using an economic reality test. The economic reality test involves an analysis of whether an employee has the ability to hire and fire employees. Whether that supervisor has the ability to control the work schedule, or determine conditions of employment. Whether an employee has the authority to determine the rates and methods of the employee’s pay, and whether the employee is also charged with maintaining employee records. If you meet those criteria… Again, so if an employee has hiring and firing authority, or if an employee has authority to issue discipline to employees, that employee under the economic reality test will be determined to be a supervisor, and as a result that employee is not entitled to take a share of the tipped employees tips. Doing so jeopardizes the employer’s ability to apply the tip credit towards all tipped employees, and the repercussions and consequences of having a supervisor share in the tips can be astronomical. There have been cases throughout the entire country where the consequences of doing so have yielded judgements well in excess of millions of dollars. You always want to be looking to make sure that the employees who are receiving tips, if you’re taking a tip credit, are customarily tipped employees who do not have that supervisory authority. This begs the question of, besides managers, who we’ve just discussed, who have that supervisory authority, what other types of employees can’t receive a share of the tips? Cases have held that employees who don’t interact with guests in a service capacity shouldn’t be in a tip pool, and shouldn’t be taking a share of the tips. Those types of employees generally have been found to be janitors, cleaners, kitchen employees like cooks, and chefs, and food preparers, dishwashers, salad preparers, and administrative employees. Allowing any of these types of employees, again to share in the tips, jeopardizes the ability of the employer to pay the tip credit towards the employees, and possibly subjects the employer to immense back pay liability in having to pay the tip credit back to the employees. David Jordan: Eli, this is David. I’ve got a great question from someone in the audience about, what do you when a supervisor is clocked in as a server or a bartender? Can they keep their own tips? Should they share with others? I don’t know what your experience is. My advice to clients is keep the supervisor away from other people’s tips at all times, but if they have to go pick up their own table for some reason, or they’re driving somebody across town as a limo driver and they get their own tips that’s probably okay, so long as they’re not taking someone else’s tips. What are your thoughts on that? Eli Freedburg: That’s a fantastic question, and it’s something that I probably give advice on at least two or three times a month. My general feeling is once a supervisor, always a supervisor, and you don’t want them being in a tip pool. You don’t want anyone else having to share tips with that supervisor. On the other hand, like you said David, if they are the direct recipient of a tip from a guest, and again this is contingent on different state laws, but certainly in New York where I practice, there’s nothing prohibiting a guest giving a tip to someone who is a manager, whether or not that person is working in a tipped capacity at that time. I agree with your advice, David. There’s nothing wrong with allowing that part-time manager who’s probably working as a bartender from keeping that tip at the time, but I would not include that part-time manager in a tip pool. If it’s possible to structure your tip pool that way, by always excluding anyone who has managerial responsibilities, I think that that’s a best practice, certainly in New York. Eli Freedburg: We just covered categories of employees who should not be in tip pools. What kind of employees are generally accepted as customarily tipped employees? Obviously you have your servers and your wait staff, bartenders of course also, and generally, almost uniformly, the case found that bussers, food runners and barbacks are also properly tipped employees. Captains who lack supervisory authority, but who provide direct food service to guests can be in a tip pool, and hosts who greet and seat guests. Those are the generally accepted categories of customarily tipped employees. But, one thing to note is that just calling someone a captain doesn’t mean that they’re automatically allowed to participate in a tip pool. When challenged, courts will not look merely at the title of an employee. They will look at the duties that that employee exercises on a day-to-day basis, and they will evaluate whether that employee has supervisory duties, or whether that employee’s primary duty is the providing service to the guests. There are some gray positions that are frequently the subject of litigation. If your restaurant, or bar, or hotel includes these positions in tip pools, it’s something you may want to audit or examine further. Probably the most common disputed position that I see is an expediter. An expediter, generally, is someone who is staffed in the kitchen and charged with plating food properly so that the dishes go out as requested and in the order ordered. Their job is mainly to make the server’s, or runner’s lives easier, so they don’t have to ask customers who ordered what dish. There’s a lot of conflicting guidance out there, much of it is jurisdiction dependent, deciding whether or not these are individuals or employees who can receive tips. With respect to expediters it is a highly challenged position, and if they do accept tips, if you do include them in a tip pool at your location, that is something you should give some thought to, whether that’s an accepted practice in your jurisdiction. Another disputed position are service bartenders. Unlike main bartenders who are actually taking orders and preparing drinks for guests at a bar, service bartenders tend to be not necessarily in a kitchen, but behind a wall somewhere. Certainly the scope of their interaction with guests are less than regular bartenders. There are different guidance. In New York, for example, we have a wage order here that says that service bartenders can be in a tip pool, but elsewhere in other jurisdictions, you don’t have that same guidance, and find that they are non-customarily regularly tipped employees, so that’s another thing you’d probably want to look into. Going through some other positions, like maitre D’s, the question becomes do they exercise enough or too much supervisory power in their roles. Again, we spoke about the economic reality test before. That’s a very fact heavy situation, and you’ll often find courts getting really into the minutia of what a maitre D will do to find out whether their primary duty is service, or whether their primary duty is management or something else. Sommeliers… again it’s a supervisory, and wine directors are the same. Are they acting more in an administrative and supervisory role, or is their primary duty dealing with guests? Just as practice pointer, I have an easier issue with sommeliers as opposed to wine directors. Wine directors tend to have more duties ordering wine and crafting wine menus. Sommeliers tend to be, in my practice anyway, more service related positions. But again, that’s something you’d want to look into. Sushi chefs are a disputed position. The issue there, are they more akin to bartenders who are interacting with guests and taking orders, or are they more akin to kitchen employees who don’t have the requisite amount of customer interaction? David Jordan: Eli, there was another great question from the audience about the host position. David Jordan: I know there’s a few cases out there that say that’s okay. Do you have any thoughts on the host position being included in the tip pool? Eli Freedburg: I can speak specifically about New York, but I think the lessons from New York could be applied more generally throughout the country. New York specifically allows hosts whose primary duties are to greet and seat guests. I think that that is something that, like I said, take throughout the country. If their job is more like a receptionist who’s answering phones and setting reservations, I think they would probably not meet the primary duties test of the requisite amount of customer and guest interaction. However, if their primary duty is entertaining guests, waiting for tables, or seating guests at tables, I think that would meet all the requirements necessary to be included into a tip pool. Do you have any thoughts about that, David? David Jordan: No, I agree. There are a few cases out there talking about hosts in the FLSA context as tipped employees. I think I tend to look for hosts that do a little more than stand at the front and put names on a wait list, whether that’s part of their charge is entertaining guests and entertaining children, and that sort of thing. One thought is how can organizations enhance the host position to support the inclusion of those positions in a sort of restaurant wide tip pool. Eli Freedburg: Yeah. I agree with that. Getting into a topic that really from what I’ve seen over the last 12 to 24 months has become really a new wave of explosions of litigation against restaurants and hospitality employers are the dual occupation restrictions. The dual occupation restriction is sometimes called the 80-20 rule. Really what that means is if you have a waiter who works for… If you have any employee, really, and the example I use in the slide is an employee works four hours as a cook, and four hours as a waiter. What do you do in that situation? Well, under the FLSA, and again this is something where there’s a heavy difference in state to state, but under the FLSA you can only take the tip credit and apply a tip credit towards the employee’s wages for the four hours that employee is working as a waiter. You cannot take the tip credit for the full hour an employee is working as a cook. It’s very important if you have a situation where you have employees who work multiple positions at your location to make sure that you’re only applying a tip credit for the times in the tipped position, not for the non-tipped position. This situation is kind of morphed from I’m working two positions to questions about side work that’s frequently assigned to your tipped employees. Almost uniformly throughout my clients they task their waiters and their bussers with side work, so like filling salt shakers, or cutting lemons, or degumming tables, or polishing glasses. Very creative plaintiff’s counsels have taken the position that the time that you’re spending doing that side work is a non-tipped occupation. Again, that’s the focus of a lot of litigation. Courts have taken different views, and the Department of Labor has taken some views on this also, but there seems to be developing a consensus that there are duties that are not at all related to the tipped occupation, and then there are duties that are incidental to the tip-producing occupation. Duties like monitoring your table, and taking steps to prepare for the guests’ arrival at the table are incidental to the tip-producing duties. However, that there is a limit on the amount of that incidental work that a tipped employee can perform if you want to apply the tip credit towards that employee’s wages. That limit, according to DOL is if you spend a substantial amount of time doing that incidental work you cannot take the tip credit for that entire time. That substantial amount of time that they have opined, it’s random, but they’ve said if you spend 20% or more of your time doing incidental work, you cannot be paid a tip credit for the time you spent doing that incidental work. If you spend less than 20% of time doing that incidental work, you can pay the employee the tip credit rate for their entire shift. That obviously opens up a Pandora’s box of problems as well. First, as I started, what is incidental work and what is non-tipped work at all? The slide that you have up now is a whole host of typical side work duties. Like I said, making coffee, cleaning menus, filling salt shakers, waiting around doing nothing, making dessert, filling ice. Employers really do find themselves in a position now with this influx of litigation of having to evaluate and analyze almost every second of a tipped employees day to find out what bucket of work that employee’s duties fall in, and whether a tip credit can be taken for that work at all. This leads to the inevitable questions: how do we do this? How are we supposed to track the time that an employee is doing it? Do they have to clock in? Do they have to keep notes? Do we have the managers taking notes? This is a challenge that a lot of you are probably facing on a day-to-day basis. I will say that this body of law is still evolving. There are certainly best practices that we’ll get into right now in terms of evaluating the employee’s components of his or her workday. The first thing you want to do is you want to evaluate the side work duties that are typically assigned to any guest, and figure out are they really incidental to tip-producing duties. I think the test for that is the work being assigned geared to enhance the guests’ experience at the table that they will be eventually serving? Getting back to the filling the salt shakers, yeah, that’s probably incidental to tip-producing activities, because the guests will be using those salt shakers. It’ll be part of their meal and their ultimate experience, but cleaning a bathroom might not be. The second tip that we recommend is to keep careful track of the time that employees are spent in tipped duties and incidental duties. I have a lot of clients now who have gone so far as to require their employees to clock in and out of their shifts under different codes for their side work duties, and for their tip-producing duties. I think that’s a practice that you’ll be seeing more and more as time goes by and as these lawsuits become even more prevalent. Again, if you find that an employee is spending more than 20% of his or her workday doing that side work, or the incidental duties required to doing that side work, you want to make sure that that employee is getting paid the full minimum wage for that time clocked in under that code. The next series of slides are just a series of examples of how to apply this 80-20 rule. The first slide that’s up now you have a server. It’s an eight hour shift. The server rolls silverware, cleans and stocks serving area, and fills ketchup bottles, and the tasks take 95 minutes. In this scenario the tip credit can be taken for the entire shift, because it’s less than 20% of the total shift. In the second slide you have an eight hour shift where the server does the same exact duties, but spends 97 minutes. The server must be paid the full minimum wage for the 97 minutes spend doing the incidental duties, but for the remainder of the shift you can apply a tip credit towards that employee’s wages. In the third example you have a server who arrives one hour before the restaurant’s doors open. The server is cleaning the restaurant, rolling silverware, getting ready for customers. If this employee works as a server for six and a half hours, then the server closes out the station and does some more side work for another 40 minutes. In this example you have 90 minutes of opening and closing duties, and 390 minutes of actual service duties. In this case we need to look at whether the opening and closing duties are really incidental to tip-producing duties. If they’re incidental, we can apply the tip credit because it’s less than 20% of the shift, but if those opening and closing duties are not related to the tipped occupation, then you have to pay that time at the full minimum wage. The opening and closing duties are problematic, because it’s harder to argue, and some courts have taken this position, that incidental duties, it’s only an incidental duty if the guests are actually there. In other words, the term that I hear used is if it’s running side work, but opening and closing side work, some courts at least have taken a different approach towards, and have found that if there are no guests allowed in the restaurant when those duties are being performed those duties are not incidental. Those are not related duties. Again, to refresh, non-related duties have to always be paid at the full minimum wage. Very often I advise clients, to be safe, that don’t take tip credit for hours worked when the store’s not open and the employee is not actually serving guests. Again, in that last example, for the first 60 minutes of the opening duties I would recommend that the employee get paid at the full minimum wage, and you could apply the tip credit for all the time that the employee is spent actually serving the guest. Again, just to recap a little bit, it’s very important the way the law is structured to carefully monitor the times the employees spend working in all their various capacities. I do think it’s a best practice at this point to actually have employees clock in and out at different codes for opening and closing duties. You also want to limit the amount of side work you have, whether that’s in a formal or informal policy, and you want to aim for side work that takes only 10%, or 15% at most of the entire shift in those side work duties. Again, if you want to take the tip credit, and again just to recap, if you want to take the tip credit you can only do so for employees whose primary duty is customer interaction, and you want to minimize the time that those employees spend in not interactive duties. David Jordan: Eli, you know there’s one other thought I thought I might add from some observations is, I frequently see, particularly in the restaurant business on busy shifts that clever managers think, well look I have two bussers. I’ll put one back in the kitchen to scrape plates and leave one out at the front. Or, I’ll have one of the waiters volunteer to be the expediter so no one else has to do that, or I’ll have one waiter volunteer to make all the soups and salads that night, and everyone else will just tip these people out. My experience is that sort of efficiency, although it sounds like a great idea operationally, it has really created some problems for a lot of restaurants in some cases. I didn’t know if you had any thoughts on that issue. Eli Freedburg: Yeah, and I think that gets back to a point I made earlier, is that you call that employee a server, or a busser, but the title is going to be challenged, if there is a challenge. They’re going to be looking. What does that server do? If a court finds that that server’s really doing expediting duties, and you’re in a jurisdiction where the expediter is not a customarily tipped employee, you’re going to be jeopardizing the application of a tip credit throughout all of your other normally tipped employees. That’s getting a little too close for comfort, and I certainly wouldn’t recommend that. The last suggestion that I’ll leave you with before I turn this over to David is I find a lot of these side work issues can be resolved by hiring a full minimum wage employee to perform the side work, whether it’s a porter or a general polisher who’s also tasked with making coffee, and just being kind of a jack of all trades on the floor. That tends to be very convincing evidence, I’ve found, if you’re before the Department of Labor, or in a judicial setting to show that, hey we have people doing these side work activities. Certainly the opening and closing duties can be performed by them as well, by that jack of all trades full minimum wage employee. With that, I will just announce that today’s CLE code, for anyone who is looking for CLE credit, is 07AGR19. Again, that’s 07AGR19. Now I’ll pass the baton to David. David Jordan:. Thank you everyone for hanging in there to listen to some of these additional nuances I want to add to our presentation today. The first is, I want to talk about tip notice. You heard Eli mention in the beginning of the presentation about the importance of notice. It has always been a requirement under the law to provide notice if you are going to utilize a tip credit. That is, pay someone beneath the minimum wage. In 2011 the regulations changed, and when those regulations changed the Department of Labor enumerated certain requirements that must be done. Certain provisions that must be told to employees if you’re going to pay an employee beneath minimum wage. The risk of not doing so is significant, and I’ll explain that in just a second, but let’s first talk about what those notice requirements are. The Department of Labor says you must give notice, it need not be in writing, but I would highly recommend it, of the direct wage to be paid. For example, under the FLSA it’d be $2.13, unless you’re in a state that requires more. You have to identify the amount of the tip credit required. So, if minimum wage is $7.25 in that particular state as it is under the FLSA, the tip credit would be $5.12. You must then state to the employee the amount of any tip pool contributions that are required. You must also state that the tip credit that the employer is taking can never exceed that amount of which the actual tips were received. That means on a weekly basis the employee must always receive at least $5.12 an hour per every hour worked if the tip credit is $5.12. You must also state to the employee that all tips received by that employee must be retained by that employee, except under a valid tip pooling arrangement limited to employees who customarily and regularly receive tips. That language must be included. I know that sounds wonky, but that’s the sort of language that our Department of Labor has come up with. Then you must also state in the notice that the tip credit shall not apply to any employee who has not received the notice. Those are the elements that have to be included in a notice to employees. You can imagine in the course of litigation trying to prove that if you didn’t have it in writing, so we highly recommend that you put this information in writing to employees, and you do that at the outset of the employment relationship. The risk of getting this wrong is significant. If you don’t give notice the remedy is that you therefore owe the employee $7.25 an hour, not $2.13. You now have to play the employee $5.12 an hour for every hour worked over the last three years, times two for liquidated damages. Very quickly you can take some retail service, like a restaurant or a limousine service, and very quickly move it into an astronomical situation where they can’t afford to pay those damages. A lot of lawyers like me argue that that sort of remedy is catastrophic and a windfall to employees, but there are lots of cases where an employer did everything right. They forgot to do the notice, or they just didn’t follow all those steps I identified, and now they owe six figures, seven figures to these former employees, who by the way got all the tips anyway and got to keep the tips. It’s a significant risk issue. I think, in my opinion, that this is one of the biggest risk areas for employers. When I talk to employers that are sued in tip litigation for some other issue, I tend to find that notice was never given properly. If the lawyers on the other side knew in that particular situation about the risk of notice, the risk in that particular case would increase significantly. I think there’s a lot of risk to employers in this area, so for those of you on the call I would ask you go back, and double down on your paperwork, and take a fresh look at what you’re doing with regards to notice. Another big controversy at the moment is who owns the tips. In the Ninth Circuit, several years ago, there was a case involving Woody Woo’s restaurant, and there, in Oregon, where this was, Oregon doesn’t allow a tip credit. Which is, you think that sounds great, right? There’s no tip credit to worry about, no tip pooling rules, no notices. The tips come in, you can do whatever you want with them. There, in fact, that’s what happened. The employees were required to give some of those tips to the back of the house. The case was challenged, and ultimately there was a decision in the Ninth Circuit where the determination was if you don’t take a tip credit, that is if you pay someone minimum wage, then you can do whatever you want with those tips. You can require the waiter to give all the tips to the manager. You can require the waiter to give half the tips to the cook. There was no ownership right in those tips. Well, in 2011 the Department of Labor overturned that rule and its regulations, and said all tips are the property of the employee, and you have to follow all these rules that Eli and I have been talking about. Even if you don’t take a tip credit you can only share with people who are customarily and regularly tipped. You can’t give to managers. That regulation has been challenged in a number of jurisdictions. It was challenged again in the Ninth Circuit. The Department of Labor was a party to that. The Department of Labor’s current position is they are not going to enforce the rule. It’s currently enjoined from being enforced by the Department of Labor in the Ninth Circuit, and against the members who are National Restaurant Association members. But the Ninth Circuit has now ruled that the regulation is valid. That the Department of Labor was right all along. However, there are other circuits, and you’ll see that on the bottom of the slide, that take a different position. The Fourth Circuit out on the East Coast. The Tenth Circuit, which includes Oklahoma, and Colorado, and other nearby states, take the position that the rule is invalid, and if someone doesn’t get a tip credit you can do whatever you want with those tips. I think that answers at least a few questions I saw coming in from others. Our advice, however, is that you treat all tips as if the rule is in effect, at least until the Supreme Court weighs in. Because of this circuit split, the United States Supreme Court is now considering this issue about who owns the tips. Remarkably, you might want to know that the Department of Labor, who had taken this aggressive position, is now delaying its briefing schedule. We think because they don’t want to be as antagonistic under the Trump Administration as they were under the Obama Administration, so we might see the Department of Labor back away from this 2011 rule. The takeaway from all of this is if you don’t take a tip credit there’s a possibility that it’s open season on what you do with the tips, but the law as currently written by the Department of Labor says the same rules apply to everyone, whether you take a tip credit or not. We’ll all wait and see about what happens from the United States Supreme Court probably this fall. As if we could confuse you more, there are a number of states that prohibit employers from taking tip credits. I mentioned Oregon already, and you’ll see here other states: Alaska, California, Maine. For those of you on the call that are from those states that are on this list you can’t pay subminimum wage, which by the way makes this tip ownership issue that we’ve discussed all that much more important for your organizations. In addition, there are also a number of states that permit the use of tip credits, but require a minimum cash wage greater than the FLSA. You’ll see a number of those jurisdictions here. The variations could be that you’re not allowed to take a tip credit at all. You could have a state that has a higher minimum wage, and you could have a state that has a higher minimum wage, but does not permit a tip credit as great as 5.12 an hour, so they allow much smaller tip credits. If you’re in one of these states I would encourage you to reach out to your labor council and make sure that you’re on the same page as to whether tipped employees are being properly compensated in your particular jurisdiction. You’ll see here in the slide deck I’ve identified a number of states graphically to show stricter laws with regards to minimum wage and overtime laws. I also want to discuss tip sharing for a minute. You heard Eli talk a lot about tip pooling. Remarkably, there’s a lot of states that don’t permit mandatory tip pools. Not all of these states on this graph take that position, but for example Minnesota, and Maine, and Montana, there’s something about the M states there, don’t permit mandatory tip pooling. They will permit voluntary tip pooling. You think, well what in the world is voluntary tip pooling? Theoretically the idea is that employees decide for themselves whether they want to pool their tips or share their tips with others. Most states will permit some sort of voluntary tip pooling, but let me encourage all of you on the phone that I think voluntary tip pools are red herrings. I’ve been involved in litigation that lasted for two and a half years about whether the tip pool was voluntary or not. It’s not enough that you have an employee sign a document that says it’s voluntary. Imagine the trainer that says, well, there’s a voluntary tip pool, but if it was me I would highly recommend you tip out your busser, or you tip out your limousine driver helper. Because in those situations there’s going to be some sort of winking and nodding that goes on. Voluntary tip pooling can be very dangerous, and can run afoul of the laws in those states, so you must be very, very careful. Let me move on to service charges, and there’s a number of questions that have come in about service charges. Service charges are not tips. Service charges are generally mandatory. They’re generally automatic. They’re generally required. They generally do not allow for any negotiation with the customer. Tips are voluntary, discretionary, service charges are not. How does that come into play? Service charges don’t count as to the $5.12 necessary to cover the tip credit. If you are paying someone $2.13 an hour, and the only thing that they generally receive are service charges and not tips in a workweek, you likely are going to have to pay them $7.25 an hour instead of the $2.13. That does require you write to draw distinction in your administrative practices between tips and service charges. There’s always a question about automatic gratuities. In the restaurant business you’ll see tables of six or more required to pay an automatic 20%. Phrased that way, they generally are service charges, and you have to take those outside of the consideration for whether the employee’s made enough in tips. Because of that, a lot of organizations in the service business have stopped using automatic gratuities. They might use suggested amounts. They may have suggested lines on their credit card slips. They may have language that say something like, “For parties of six or more we recommend a 20% gratuity, but the amount of gratuity is always within the discretion of the customer,” to avoid this issue with the service charge. The upside with a service charge is that under the FLSA nearly everyone or anyone can share in service charges. The manager can take the service charges. The company can keep all the service charges, and pay its employees out of it, or put it in their pocket. Cooks can keep the service charges. I will go over a few states that treat that differently, but that is the upside of the service charge. The downside though is it’s like a bonus, and it has to be included in the regular rate for purposes of calculating overtime, as if the use of service charges couldn’t be anymore complicated. I will mention, as we’re talking about overtime, that if you get a service charge it’s essentially a commission, right? If more than 50% of your wages come from commission, and your commissions exceed one and a half times the minimum wage, you could be exempt from overtime under the retail sales overtime exemption. So if you’re an organization that has a lot of service charges, there are some upsides to using service charges. A couple of examples of states where that’s problematic, you’ll see here Hawaii basically says that if you’re going to take an employee’s service charges you have to disclose it to them. Maine basically says that anything included on a credit card is a tip, regardless of whether it’s automatic or not, and you’ll see similar views in states like Minnesota, Massachusetts, and New York, and these are all available in the slide decks that you’ll have.I wanted to cover a couple of other remaining pieces. Eli Freedburg: We’ve got a good question that asks us to comment on whether an employer can pay an hour wage less than a minimum wage to an employee who regularly receives significant service charges to meet the minimum wage. Eli Freedburg: Particularly this comes up for banquet servers. David Jordan: Yeah, so this sort of goes back to the point I made a minute ago, which is if you have given the employee notice of a tip credit. So you tell the employee, “Look, you’re going to get paid $3.10 of the tip credit,” then if they don’t make the tips to cover that $3.10, the argument is that you have to make up the cost of that tip credit separate and apart from the collection of service charges. There’s an opinion letter on this issue that suggests the law could go the other way. It’s a very nuanced question, and I have had many arguments with lawyers and the Department of Labor on this issue as to whether the service charges you collect can backfill the tip credit. I think it’s a great question, and if the questioner wants to reach out to us we can sort of engage in more conversations. I wish it was more clear, but that’s sort of the state of the law on that issue. Great point, Eli. A couple of sort of remaining issues. We talk all about tips, and the house can’t keep any tips. There’s a rule under the FLSA that the house can keep, and when I say the house I mean the company can keep a reasonable approximation of the credit card processing fees for those tips. That sounds great, but I would actually be very careful, because if your credit card processing fees are overestimated at all, even by pennies, then we go back to that damage model I crafted for you earlier, which is basically a company took too much in tips that they weren’t entitled to, and therefore the employee is owned a minimum wage. If you want to sort of dance on this wire, Eli and I are happy to help you understand exactly where to dance, but it is a tricky issue. One last point. I’ll make the point about overtime. I made this mistake growing up. The statute of limitation is run on all these claims, so they can’t sue me, but I used to calculate overtime by taking $2.13 and multiple it by one and a half times to come up with $3.20 as the overtime rate. That’s not correct. I’m sure most of you on the phone know that. The way to calculate overtime on a tip credit is to come up with one and a half times the minimum wage, so with $7.25 you’re going to take one and a half times $7.25, and when you get to $10.87 you’re going to subtract the same tip credit, $5.12, which gets you to $5.75. That’s the overtime rate for hours worked over 40 for someone with a tip credit. For states that have differing minimum wages, and differing tip credits it can be an excel spreadsheet nightmare to walk through for many of you. We’re happy to walk through how to calculate the overtime rates with you in those strange jurisdictions. Finally, I might ask, someone asked about recordkeeping, and it’s on my slide. I’ll note that you need to keep records of tips received, and tips reported. The IRS requires it. The FLSA is going to require it. To the extent you need to prove that sufficient tips were made to meet the tip credit that you’re taking. The other point I will make is if there’s a tip pool, and you are managing that tip pool. That is, you are collecting the tips and redistributing those tips, I would strongly encourage you to have a document that zeros out those tips every night, because you want to be able to prove to the Department of Labor or anybody else that you collected, for example, $1,100.12 in tips, and you distributed $1,100.12. If you can’t prove that it zeros out every single night, there’s always going to be an allegation that you were shaving tips, and therefore cannot take advantage of the tip credit. It’s one o’clock. I think we’ve reached the end of our program. Eli and I are happy to answer any questions any of you on the phone may have. Feel free to reach out to us. Our contact information is on this last slide, if I can get to it. Thank you so much for taking all the time today to hear more about tips. The post Tip Sharing Laws, Tip Pooling, & Tip Credit States – The Definitive Guide for Employers appeared first on Deputy. Does your business have a sound strategy for determining your next location? If you’re considering expansion plans to increase your revenue stream, you must build a plan that requires discipline, market research, and of course, passion – the main reason you fell in love with your business to begin with. 1. Expand at the right time and for the right reasons. First, while the temptation to expand for competitive or growth reasons may drive your next location, make sure you’ve evaluated your motivations. “The decision to expand is sometimes driven by the wrong reasons,” says Juan Alcácer, Associate Professor of Strategy at Harvard Business School. “In many cases, companies are not thinking of the long-term consequences of what they are doing.” Alcácer continues, “Companies often blindly follow their rivals from city to city or country to country without analyzing whether that same situation is right for them…. They are realizing that they were not well prepared for the market or that it wasn’t the right market for them.” Many companies such as Crumbs Bake Shop, Wise Acre, and XciteLogic were too late when they made this realization. Before you jump into the expansion game, consider all the factors that could impact your current business if you open a new location – resources, budget, timing, unknowns, and the goals for expansion. “When you open a new operation, it requires not only money, but also the time and energy of managers to make sure it’s going the right way.” Says Alcácer. Walmart provides a good example of choosing the right time and reasons to expand. In the early 60s, Walmart’s initial growth strategy was slow and methodical, only opening stores near local mom and pop shops. But, it was years later when they felt they had built enough resources to begin opening stores near bigger competitors like Kmart. 2. Start with a plan when choosing your location. Now that you’re fully confident your business is ready for your next location, start creating your visual plan on a mind map so that you can see all the variables and considerations when choosing a new location. Faisal Hoque writes in a Fast Company article: “By mapping our decision-making process, we can see what our assumptions are and where they might go wrong, and when they go wrong, we can find the incongruence between our perception of reality and the way it actually is.” Mind mapping tools can be as simple as a whiteboard or free software you can find online, but there are some other others with more advanced features. Next, add to your mind map all the considerations listed in the following guide so you can create your game plan for addressing every variable, including risks, timeframes, resources and budget. When choosing your next location, do the extra research to first understand why people are coming to your current location(s). In the best selling book and Ted Talk, Start with Why: How Great Leaders Inspire Everyone to Take Action, organizations always look at what they do and how they do it, but they rarely go deeper to understand the why – the true purpose and belief for why their business exists. Once you know what your “why” is, you will build a business and brand that will dictate your growth plan and goals. Even more, you will understand who your best customers are and what motivates them. And those best customers are where you next location needs to be. An alternative best practice is to understand what the top brands with multiple locations are doing (Apple, Patagonia, Starbucks, Harley Davidson, and Nike). They emulate and personify one of the 12 brand archetypes of their target customers’ core desires, hopes, fears, and motivations. If you know your business’s brand archetype (and thus customer archetype) then you’ll be one step closer to selecting your location. For example, if your brand is a “rebel archetype”, where contrarians and rule-breaking mindsets prevail, consider an area close to where the rebel-types live such as a location and building that’s more urban and industrial, including areas that have a high concentration of stores targeting this same archetype. 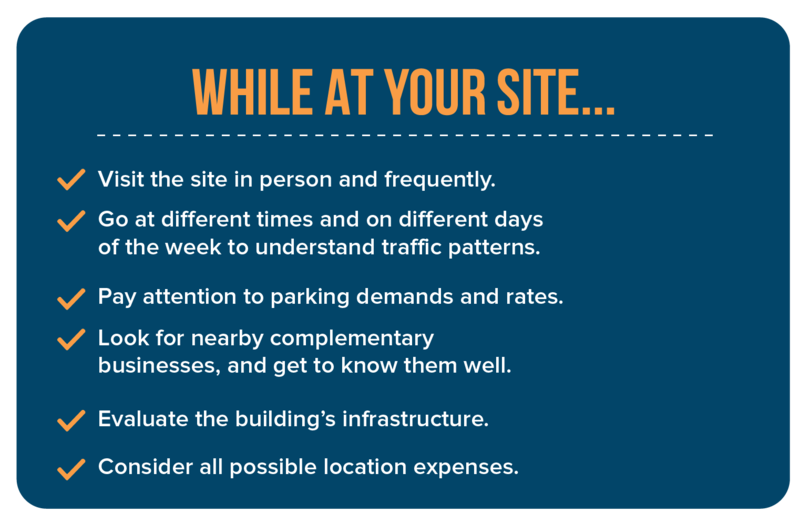 Once you know your business “why” and brand archetype for helping you define your location, create an additional wish-list of what you don’t have at your current location(s) that would improve your business (you could even survey your customers as referenced in the below tip). Consider performance improvements other than revenue, like employee recruiting and retention as well as customer experience. Knowing your business goes hand in hand with knowing your customers. The easiest method to determine your next location is to simply ask your current customers. Whether it’s a simple 3 question paper survey they receive while they are making a business transaction or an email survey, give them a list of your top 5 locations you’re considering and ask them to rank the location they feel would be most successful from a customer and business growth perspective. Be sure to leave an open-ended section at the end of the survey so they can provide you with additional ideas you may not have considered. Doing customer market research is another critical tactic. The idea of “location, location, location” is a dead concept. Kathleen Rose, CCIM writes in Retail Location Strategies, “Market, market, market is a more-appropriate concept for the future as retailers and developers alike ask not “Is this a good location,” but rather “Is this the best location in the market, given the competition?” (More on competition on tip #6.) With all market research, understanding the demographic of your target customers is one of the top factors when determining your next location. 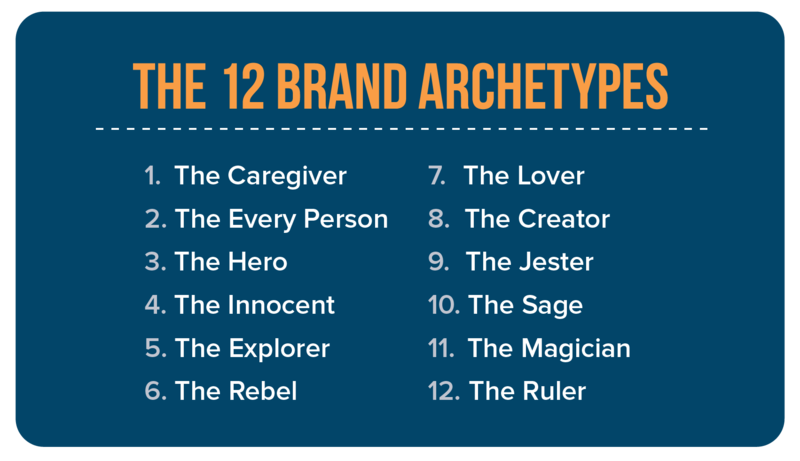 As the above brand archetype exercise helps to understand your brand and target customer, a deeper dive into where the majority of those customers shop and/or reside will require some additional research and analysis. For your new location, consider researching U.S. census data, median household income, buyer preferences, lifestyle habits, behavior data, and traffic patterns of your customers. As mentioned above, it’s easiest to start this by research by surveying your current customers or you can research online sites such as government sources and free demographic tools like ZoomProspector and City-Data.com. Additional tools for customer market research can be found in this Hubspot article. 5. Know your best employees. Just like how you conducted the research to understand the demographics of your target customer for your next location, it’s critical to do the same exercise for your star employees. Most of your best employees are good for a reason. Understand what those top qualities are and search for a location that’s close to where that similar employee demographic lives. 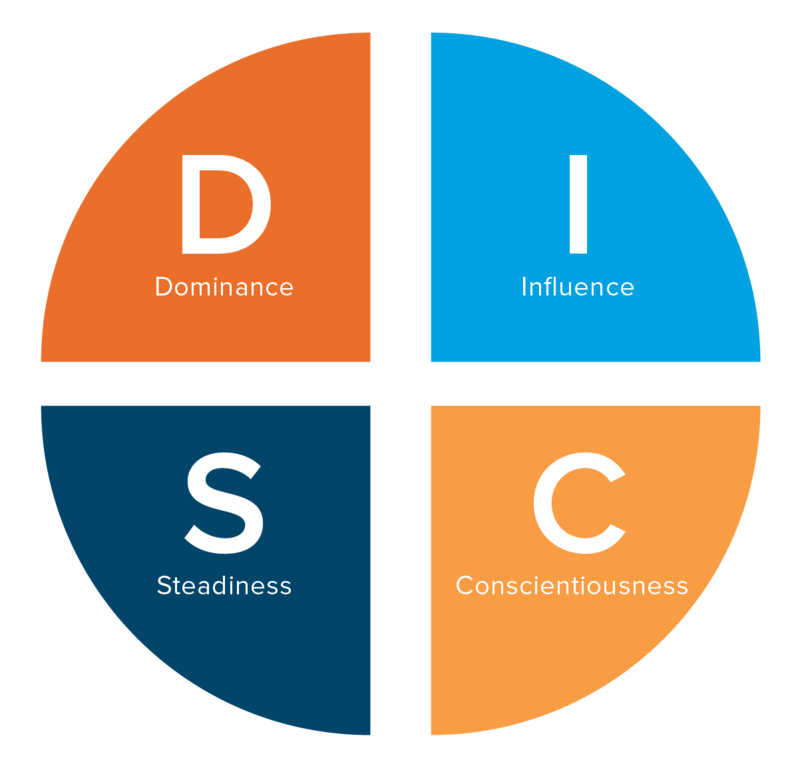 The DISC assessment is a widely used personality and behavior assessment that will help you understand the disposition and priorities of your best employees. The Four DISC types are Dominant, Inspiring, Supporting, and Cautious. Personality types tend to gravitate to certain job roles where they are most successful. For example, many successful salespeople fall in the “D” or “I” types who are outgoing, task-oriented, competitive, and driven by rewards (e.g. money). Therefore, when choosing your next location, look for an area where these motivated professionals live or within a commutable distance to your new location. Many successful companies such as General Electric, Boeing, and Marriott are also placing high emphasis on the local labor market in determining their next location and relocating their headquarters. The trending increase of the younger and younger workforce and a preference for a more urban lifestyle are playing a larger role in this shift. In a recent AreaDevelopment article, Dean J. Uminski Principal of Crowe Horwath writes, “Much of the recent migration of corporate headquarters to urban areas is tied to employee recruitment. Companies believe they are better positioned to uncover and draw top talent — especially millennial talent — when they are based in major cities.” Many business are considering these more compact urban spaces near public transportation and several more are opening locations near high schools and colleges to recruit top talent as recently reported by the Top Challenges for U.S. Businesses with Hourly Workers Survey. Most businesses keep an eye on competition but when it’s time to choose a location for your growing business, take the time to do an extra deep dive on your top competitors to understand their current growth strategies. A simple competitive SWOT analysis could give you the extra insight you need to ensure you make the best decision for your location and mitigate competitive threats in your expansion strategy. This Competitive SWOT Analysis Edge article explains a good process for conducting your SWOT analysis including identifying your major competitors, reviewing their social media activities, signing up for their blogs/emails/newsletters, and reviewing their recent press. There are also some additional online tools to research your competitors. Next, identify your business’s and your competitors’ strengths and weaknesses and determine what main action items you will take (and learn) from conducting this SWOT analysis, which in this case will be how this will affect your location selection. 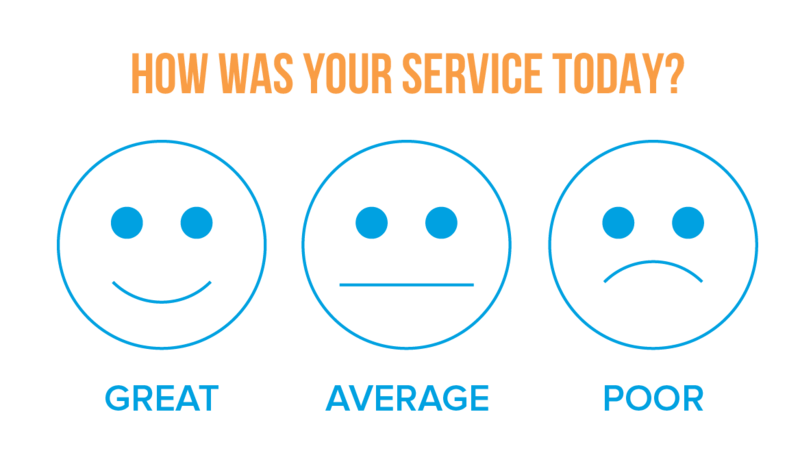 As previously mentioned, surveying your customers is another great method to find out more about your competitors. As a best practice, Deputy assigns one competitor to each sales rep to become the subject matter expert of their assigned competitor, consistently keeping the team and competitive matrix updated on business strategies and product/service enhancements. This includes paying close attention to failures your competition has made as this is especially important for your next location. If your competitor opened a location that closed, ask the neighboring businesses or the leasing agent if they can provide any insight on it’s closure. One widely used best practice is businesses opening locations near their competitors to capture maximum market share for their target customer as it has a better chance of success than being somewhere less known to customers. This tactic applies to industries where your customers do comparison shopping. The size of your business, target market size, and demographic also play a key role for that model’s success. This approach can also save you a lot of time, money and resources in the researching if your competitor is known to be savvy, big spenders in market research. A great example of this is Home Depot as they had a proven successful site selection strategy, investing heavily in predictive analytics and market research. Lowe’s site selection strategy was easy – they simply opened up a location adjacent to the Home Depot’s new location. Be sure to consider Uncle Sam in choosing the next location for your business. There are plenty of zoning regulations and ordinances to consider and your local planning agency can help ensure your new location is up to code. More important, make sure the new location’s ordinances don’t prevent you from running the business you want. For example, some cities have ordinances that restrict the size of your outdoor signs or laws for exterior paint colors which could impact the brand you want to convey. Additionally, there could be parking regulations that could hurt your customer’s shopping experience and mixed use ordinances that could contradict your business (like a liquor store if you’re a church). With all budget planning – taxes, labor wages, and health care costs, differ by state and can directly impact your profit margins. Understand your property taxes as well as the sales and income taxes for your new location. From a labor standpoint, while the federal minimum wage is $7.25 an hour, in many states that’s higher so be sure to check the the hourly wage of the hourly employee per state, city and county. Health and unemployment insurance as well as workers’ compensation costs vary from state to state so be sure to consider all factors when selecting your next location. As a perk, your new location might also be qualified for for state-specific tax credits, business incentives, grants, and loans so spend some time researching the opportunities available that can affect your bottom line. 8. Know your new location… No, really know it… before signing any agreement… (i.e. why this is a hefty tip). When you’re on the search for the best location, always start with a top notch real estate agent who understands the market and location you’re considering. Look for a proven track record and ask for their current listings and business references (similar to your business model). If you’re considering a few different areas, then find the best agent who specializes in each area. As you narrow down your locations to your final two, this is the time to be exhaustive in researching your final selection. First, find out how successful (or lack thereof) that last company performed in that location and be sure to ask neighboring businesses. If several have gone out of business or moved over the past 5-10 years, there’s a high likelihood your business could do the same as customers in that area might presume your business will fail like the others and not want to spend their time and money evaluating your new location (i.e. a customer herd mentality). The best research as you get close to making a final decision is to visit the site in person, and frequently. From a customer perspective, be sure to go at different times of the day and at different days of the week to understand the traffic patterns of that area. Pay attention to potential issues like parking demands and parking rates as this could potentially deter your customers. While at your site, look for nearby businesses that are complementary to you and get to know them well. This could pull more customer traffic if you’re targeting the same type of customer and provide a good source of lead exchange and networking opportunities with your customers, employees, and your suppliers. While at your site, evaluate the building’s infrastructure as it’s current state may not be able to adequately support your growth goals. For example, if your brand archetype is “creators” (targeting the unique, innovative, early adopter customers) your building might have old utilities or telecommunications that won’t be able to support the high-tech (fast wi-fi), innovative brand you want to convey. Additionally, consider all possible location expenses you may not have considered that might impact your budget. If utilities and janitorial services are not included in your lease, find out what the previous year’s janitorial and utility bills were so you can get a better understanding of what your expected monthly rates will be. Also, when visiting your new location (and while walking through your site) this is also a good time to think through any additional items you may not have considered in your new location’s budget like decor, appliances requirements for your employees, and adequate storage space. Be sure you also sharpen your negotiating skills and have a great broker who can negotiate items like your per square foot rate, the length of the agreement, out clauses, and improvements to the location before making a final decision. Lastly, before signing an agreement for the new location, and if you are still worried about it’s chances of success, do a test run of your business near that location without the heavy upfront investment. Consider negotiating a small booth at a neighboring business to that location, rent a kiosk at a nearby shopping mall, or rent a food or services truck and park near that location (be sure to get proper licenses and permits). 9. Know the technologies that can help you. If you have the budget to do it, consider a data-driven approach to selecting the best location for your business. Instead of spending the time scouting out your location, counting traffic, manually pulling demographics, and attempting to glean actionable insight to determine your next best location, you can aggregate most of your parameters in just a click. Many companies use geographic information systems (GIS) and other software programs as it provides online mapping reports that pull data on demographics, competition, transportation, real estate, and much more. In a recent Fast Company article, Starbucks uses Atlas, an in-house business intelligence platform and mapping tool to determine their next location. It analyzes nearby companies, demographics, public transportation, and smartphone users. Wendy’s also uses GIS platforms to determine which urban downtown blocks have the highest foot traffic. Location predictive analytics solutions like Tango and Esri aggregate data from hundreds of different sources into thousands of variables that can be custom tailored to each business, even predicting sales volumes in the location. Costs for these types of site selection programs can can start around $2,500 annually but can run into six figure spends when the software is tailored to a specific business. But, if science and data-driven approaches for location scouting are not your forte or out of your budget, consider working with a business consultant in your industry that can help you find the best technology at the right price point. 10. Know how to build a marketing strategy for your new location’s success. This may not be an applicable tip for this guide, but it’s critical so worth the read. Once you’ve selected your next location and are gearing up for the big opening day, the best practice to ensure success is to build a powerful marketing strategy and execute it before, your opening day. Consider all options when promoting your new location and be sure to get your customers, suppliers/partners, employees, family and friends involved. Depending (once again) on your customer archetype, create a compelling “ribbon-cutting ceremony” campaign for your opening day. This campaign can include email, direct mail, blogs, social media, press, and advertising – all pointing to a landing page on your website that highlights this event with a big promotion or discount for visiting your new location. 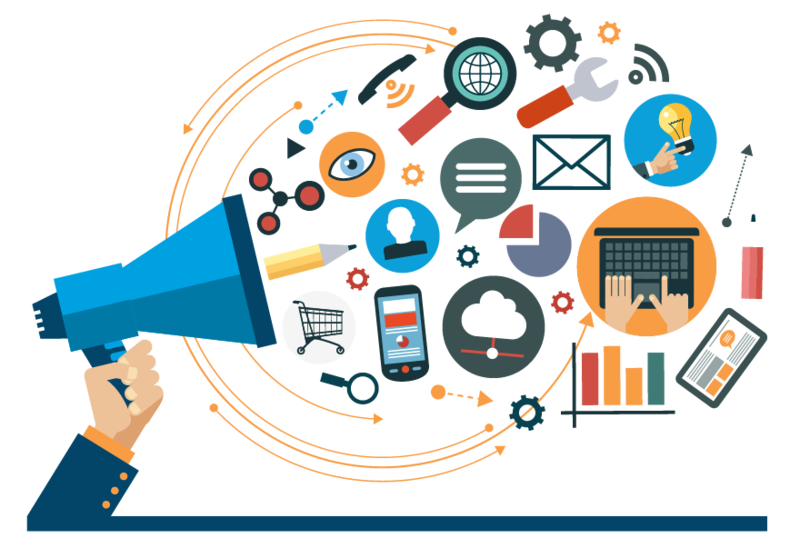 Advertise in both local publications (that your target customers read) and online paid search channels such as Facebook ads with location targeting and Google Adwords targeting both demographics and geographic location. As mentioned earlier in the guide, be sure to network early in the process with your new location’s neighboring businesses, so by this time they know you enough to help promote your new location (like putting your flyer in their store or banner ad on their website) or providing some local best practices they used to promote their business. Lastly, be sure to get your new location’s top community influencers and local bloggers involved as they can create even more buzz to draw more business. We wish you the best of luck selecting the best location for your growing business. But you won’t need luck – taking the time to create a sound strategy and doing the above research will guarantee your business will be positioned for success. A final note – since you are a growing business, you will require more employees for your new location. The management of those employees will grow increasingly complex, especially with scheduling employees in multiple locations, accurately tracking their time and payroll, and communicating with your remote staff. As the ultimate workforce manager for businesses with multiple locations, Deputy simplifies employee scheduling, timesheets, tasking and other employee communication – all with the power of a simple mobile app. With the scheduling feature, you can create the most optimized schedule for your locations in seconds and publish it to your remote employees with just a tap. Deputy’s time and attendance feature enables your staff to clock in and out via their smartphones or an iPad kiosk app at your location. This powerful tool includes options for geo-tracking and photo facial detection to address compliance and prevent buddy punching. These timesheets are then instantly synced to your payroll provider. With Deputy’s tasking feature, you’ll be able to create and assign tasks to your employees at different locations and instantly get notified via push notification when they are complete. Another Deputy app feature, Newsfeed enables seamless communication to all your employees at your different locations. Attachments can be added with confirmation, enabling businesses to drive compliance by ensuring important information is both communicated and received. Lastly, Deputy’s performance management feature allows you to journal employee performance in real time for more frequent performance discussions yielding better employee engagement and retention. Deputy equips business owners and managers with the tools they need to better manage their employees and grow their business. More than 30,000 customers in 73 countries use Deputy to manage their employees. For more information or for a free 30-day trial, visit Deputy.com. The post The Definitive Guide for Choosing the Best Location for Your Business appeared first on Deputy.